We will be trying to eradicate Crofton and Bugweed. Please join in and lend a hand. What to bring: Gloves; pruning shears; your brand new crofton tool (aka Garden Master pavement tool); any other weeding tool that you have found to work and that will not cause destruction to non-invasive plants and the soil – even an old strong screwdriver will do the trick. DON’T stay away if you don’t have all or any of the above! Join in the orientation meets and learn the ins and outs of climbing. Contact Alan for more details re costs, etc. The Dome offers a large number of the high-quality 3 and 4-star climb from Grade 10 all the way to Grade 22. 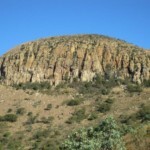 This climbing venue offers a unique exposed feeling on one of the best escarpment climbing venues in the Magaliesberg. The hike-in is steep and takes approx 45 minutes. We will meet at the gate to Steynshoop at 8 am. Parking fee of R40/car will apply. Members are allowed to bring one guest only. Join us on Saturday 21 April as we do our bit to clean up Bronkies climbing crag followed by some climbing, of course. Bronkies Crag is one of the most popular crags in Gauteng, situated on the banks of the Bronkhorstspruit River with 65 bolted routes ranging from easy to moderate. Come help us give back, through our Crag Development Program by donating a few hours to clean up and burn some calories. Meet at CityROCK at 7am or at Bronkies at 9am, bring a hat, gardening gloves, gardening tools and refreshments. The Bronkies crag and parking are on private property and the owners reserve the right of admission. The MCSA has negotiated access to the area for members over weekends and public holidays. Upon arrival visitors must pay the entrance fee and sign the visitors’ book, which has the MCSA logo. Entrance fees are R20 cash for adults, R10 cash for children between 13-18 years, and R5 for children aged 12 and below, payable to the guard at the crag or the entrance road. Getting there. From JHB: Either take the N1 north and then the N4 east (Witbank). Take the Bronkhorstspruit off ramp (R25). Turn right to go south towards the R25. At the T-junction turn left onto the R25 towards Bronkhorstspruit. Then shortly thereafter, at the R42 junction to Delmas, turn right. After 3,8km at the crest of a hill the gate to the farm will be on the right (sign for Department of water affairs and forestry – this is +- 500m further than where it used to be in the past). Turn right onto the dirt road. 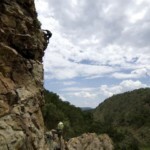 The MCSA’s Wilgepoort property, which the club purchased in 2013, offers hiking and climbing opportunities that are totally different from those in the Magaliesberg. 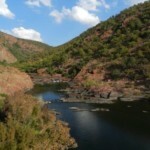 The intention of this hike is to take in the wild experiences offered by this unique venue and is well suited to those who are slightly more adventurous and have good fitness levels. We will follow the Wilge River upstream and then return by hiking over the (steep) Wilgepoort massif. If we’re able to, we will also try to reach a waterfall feeding into a small tributary. There will be at least two river crossings along the hike, and depending on the water levels, compulsory swims at these points as well. Meet participants are welcome to heaad out to Wilgepoort the day before, where you will be able to camp over near your car on the Saturday evening. 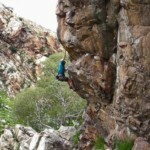 King’s Kloof is a sport climbing area located on unspoilt private land in Rocky Valley, near Krugersdorp. 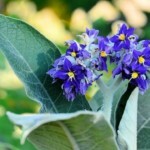 Its sunny orientation makes it an ideal winter day crag, though shady spots can be found in summer. The routes are mostly suitable for beginners / intermediate climbers, with uneven terrain making some of the belaying tricky – look out for the conveniently placed belay safety bolts. 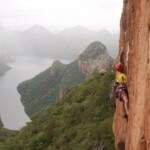 A 60 metre rope and 12 quickdraws will get you up all the routes.